This article was written by Coach Parrish. 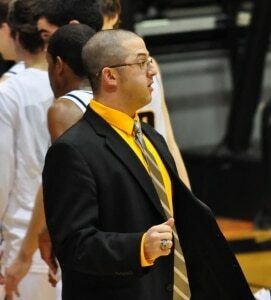 He is an assistant men's basketball coach for Birmingham Southern College and has been there since 2011. Before that he coached at the University of Alabama-Huntsville where he helped the Chargers win 2 conference championships as well as 2 trips to the NCAA Division 2 tournament. I am sure that most of you watched the BCS Championship a few weeks ago in which Alabama manhandled Notre Dame in extraordinary fashion. Being from Alabama, I am blasted with Alabama football for most of the year which is tough being a basketball guy and an Auburn fan to boot, but I think, as coaches, we can learn a lot from Crimson Tide Head Coach Nick Saban. What he has done is accomplished in his profession is nothing short of remarkable in this day and age, not just in college football world, but in sports and life in general. To be as successful as Saban has been in any endeavor would be viewed as awe inspiring. As coaches and players, I am sure you all know how hard it is to be successful in a game, much less a season or a collection of seasons. Success is hard to come by in any walk of life. That is why we marvel at those that achieve great things in whatever field it may be in. Many people may write it off as a person being lucky, or perhaps hitting the genetic lottery and being gifted in their chose field. While luck, intelligence, or other natural gifts might play a roll in a person’s success, it is simply not fair to write it off as simply one of these things only. Almost all of those who have had a large amount of success have one thing in common. That is their undying will to be great and their understanding of what it takes to be great! At the end of the championship game, Saban was asked how long he was going to enjoy the win and he said for 48 hours. Think about that for a minute. He had just won back to back National Championships and his third in four years. He is and has been at the pinnacle of his profession and is going to only enjoy it for two days (he actually said he was going to get back to work on Wednesday which was considerably less than the 48 hours). It would be easy for him to say, I am going to take two weeks off and go on vacation where it is warm and not think about anything related to football and no one would have a problem with that. People would say there is no doubt he has earned that. It would appear to me that Coach Saban believes that his work is never done, and that the process of becoming great is never finished. It is human nature to relax and become complacent after accomplishing great things. People start telling you how great you are and what you have done is remarkable and sooner or later, you start to believe it. As that happens, you slowly move away from things that got you into the position and begin to slip. As a player, you decide to take fewer reps, or don’t take as much time working out in the weight room. Sooner or later, it will catch up with you. The same is true for coaches. We do not watch as much film prepping for opponents or looking for ways to better our team and usually when this happens, it hurts the team. It is important to realize your game or your team will never reach true perfection. Therefore, there is always something to work on and improve. Coach Saban’s remarks made me think of this and how important it is to continue to fight against complacency with our undying will to be great.